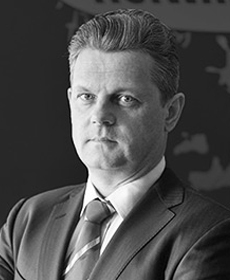 He is a graduate of the Faculty of Foreign Trade of the Warsaw School of Economics. 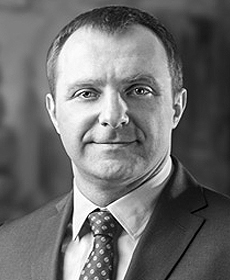 In the years 1992-1998 Paweł Wyrzykowski worked at Bank Creditanstalt Group in Vienna and Warsaw. Since 1998 he has continued his professional career with Pfleiderer AG, a leading manufacturer of materials for the furniture industry. In the years 1998-2001 Mr. Wyrzykowski held the position of Financial Director and Member of the Management Board of Pfleiderer Grajewo S.A. to assume in 2003 the post of President of the Management Board of this company. In the following years (2009-2011) Paweł Wyrzykowski was a Member of the Management Board of Pfleiderer AG in Neumarkt, Germany. Since 2012 he has been the President of the SECO/WARWICK Group. He graduated from the Zielona Góra University of Technology. He started his professional career at SECO/WARWICK in 1994 initially as a Service Engineer and then as a Deputy Manager of CAB. In 2005, he assumed the position of Head of CAB and 5 years later he was posted to SECO/WARWICK Retech in China, where he assumed the position of Deputy Managing Director. Then in 2011-2012, he was the Managing Director of SECO/WARWICK Retech. For the next two years, he was appointed Managing Director of SECO WARWICK Allied in India and Chief Operating Officer of SECO/WARWICK Group. From 2014 to 2016, he was the Managing Director of SECO/WARWICK Retech China and as of 2016, he became the Managing Director of SECO/WARWICK Allied (India). By the end of 2016, was appointed Managing Director (Asia) and Member of the Management Board, SECO/WARWICK S.A, and in 2018 became Vice President of the SECO/WARWICK SA Management Board, Chief Operating Officer of the SECO/WARWICK Group. 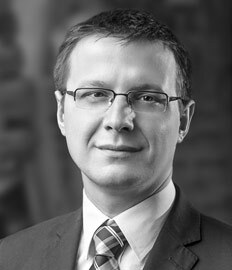 Mr. Bartosz Klinowski is a graduate of the Wrocław University of Technology. In 2008, he completed post-graduate studies in database systems at the Poznań University of Technology. In 2011, Mr. Klinowski received an Executive MBA diploma from the Leon Koźmiński University and a Program Management diploma from the Harvard Business ICAN Institute. His professional career began at SECO/WARWICK S.A. (2003), where he worked first as an Engineer to later become Deputy Director of the Electric Plant. 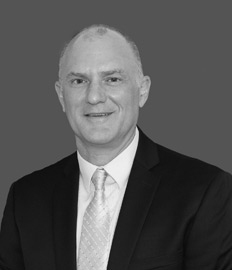 In 2011−2012, Mr. Klinowski served as Vice-President of the Management Board of SECO/WARWICK Thermal. Since 2013, he has been Member of the Supervisory Board of the Russian subsidiary SECO/WARWICK Rus and President of the Management Board of SECO/WARWICK Europe Sp. z o.o. At the end of 2016, he became the Managing Director (Europe) and a Member of the SECO/WARWICK S.A. Management Board.